A holiday candy that is a favorite by all. 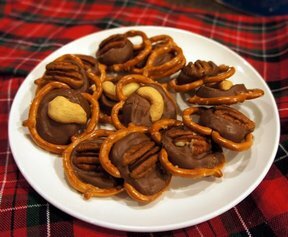 This sweet and salty snack is so easy to make that you can make it within 30 minutes. The unwrapping of the candies is the hardest part! 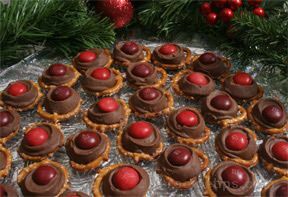 Unwrap Rolo candies and place in bowl for later. 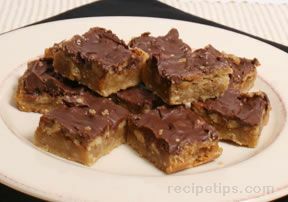 Place in oven to soften Rolos, about 3-4 minutes. Check occasionally, don't let them melt! Take out of oven. 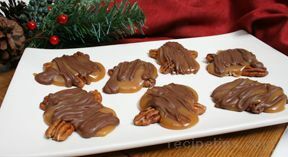 Push a pecan half or cashew on top of each Rolo. Remove from wax paper and store in container. Keep cool.